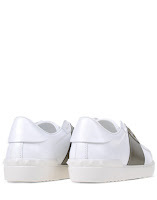 White sneakers all year round are where its at now. 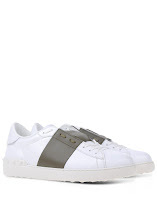 Look at these Low-Top Trainers from Valentino. They feature an all leather upper with an olive panel running across the vamp and the eyelet area. 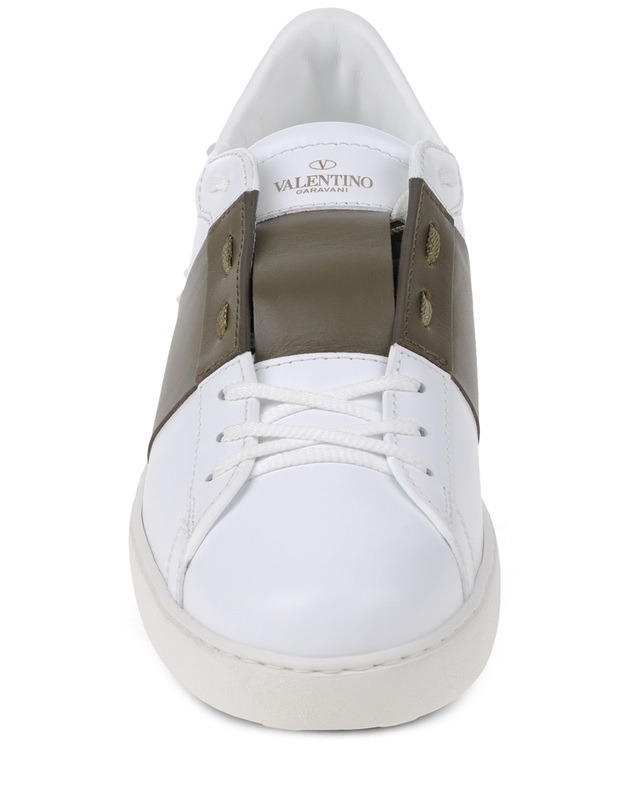 Olive colored laces are concealed under the olive eyelet panel while white laces make-up the bottom eyelet lacing which make for a cool and minimal lacing system. 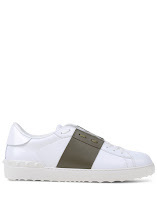 Pair these in the winter with that cool camel overcoat or in the spring with some great cropped khakis. Available now at TheCorner.com.